Volume One’s annual downtown Eau Claire concerts draw a couple thousand music-loving locals to Phoenix Park for the best in original local music, community, and pretty dang good sunsets too. During Eau Claire summers, every Tuesday is blues day. Tons of locals gather in shady Owen Park along the Chippewa River to take in all the blues goodness that emanates from the bandshell. Check out after parties at The Plus, and a very special 10 year anniversary bash to close out the season at The Metro. For three Saturday mornings this summer – during the Eau Claire Downtown Farmers Market and the Artist Market of Eau Claire – Chippewa Valley Family + Prevea will host free live music on the Phoenix Park labyrinth. Hosted by local jazz musician Tim Sullivan, these open-air concerts will begin with an hour of interactive music and games before an engaging children’s performer or band takes over for the second hour. The Menomonie Public Library hosts this awesome annual concert series which brings together tons of music fans and artists to Menomonie for a celebration of the rich Chippewa Valley music scene. With the success of Music Over Menomin in recent years comes a new development, a kid-focused series of concerts with kids performers of all kinds. Bring the whole fam! A brand new concert series this year comes to the newly minted amphitheater at the River Prairie Development in Altoona that focuses on rock music, whether originals or some near-and-dear classic favorites from yesteryear. 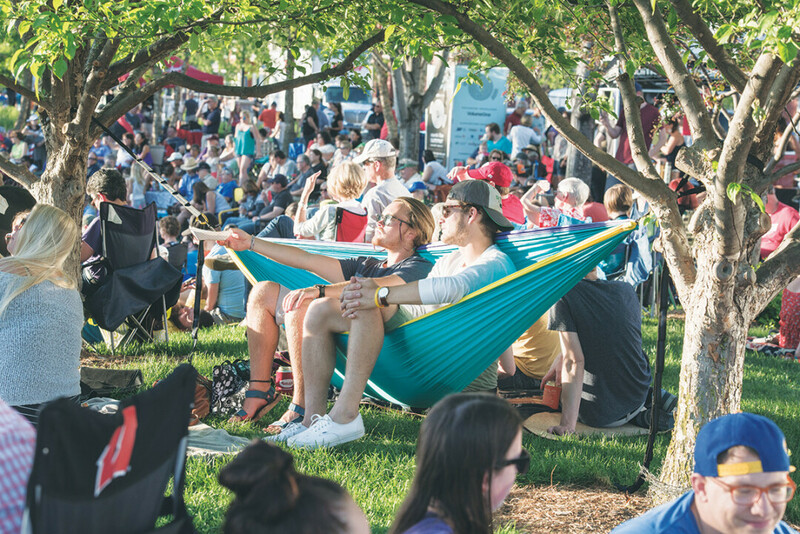 Before Saturday home games for the Eau Claire Express, the team – along with Oakleaf Clinics – is having local bands perform on the Hank Aaron Plaza, and you don’t even need a ticket to the game to enjoy the tunes. For an eclectic mix of folk music stylings, look no further than the beautiful Colfax Music in the Park which this year features bluegrass, concertina, Celtic folk songs, ukuleles, and more. 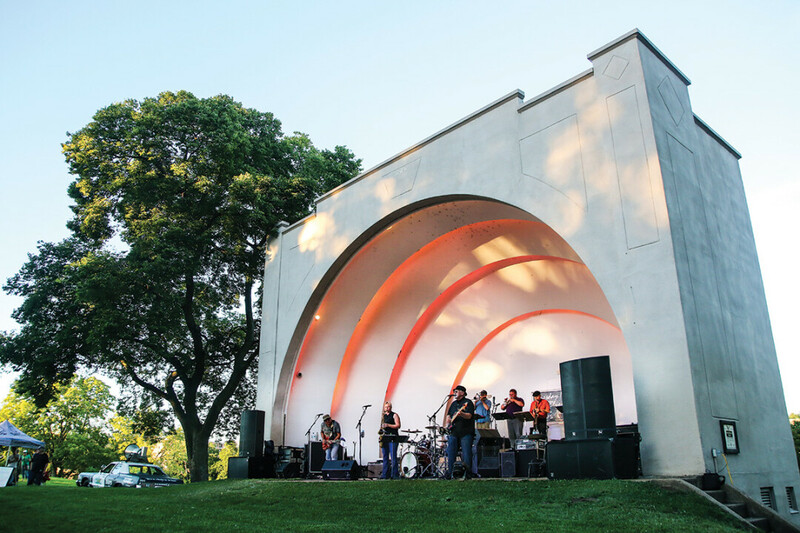 Don’t miss your three chances to see some awesome live music in the bandshell at Memorial Park in Durand. Witness the Eau Claire Municipal Band and it’s Sousa marches, gorgeous melodies, and contemporary compositions every Wednesday in June and July. A community concert band that was officially organized in 1888. They play a variety of classical band music, marches, overtures, show tunes and novelty pieces.